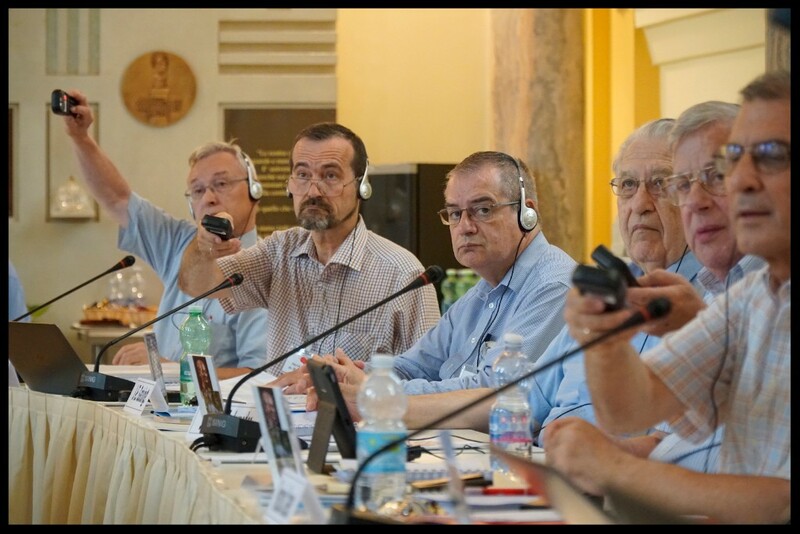 The General Chapter of the Society of Mary (Marianists) currently in session at the Marianist Generalate in Rome, the delegates elected Fr. André Fétis, S.M. 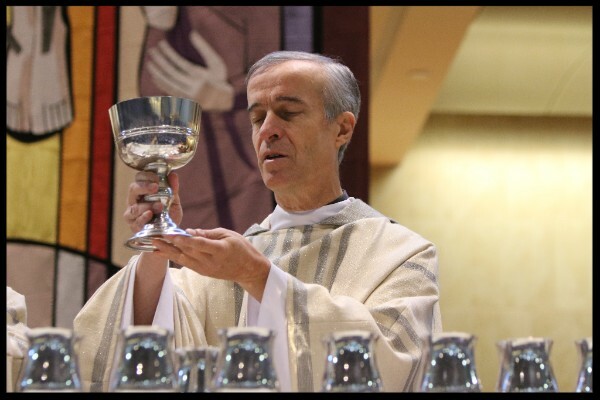 to become our 15th Superior General. He succeeds Fr. Manuel Cortes, S.M. who just completed his second term as Superior General. Fr. André Fétis, member of the District of Ivory Coast. Following the celebration of the Eucharist and invocation of the Holy Spirit for the election before them, the delegates from all Marianist Units throughout the world met in General Assembly for voting. At the Eucharist, presider and homilist, Fr. Hans Eidenberger, S.M., called on the delegates to listen to the Spirit and to reflect upon the current needs of the congregation and who might best be called to leadership at this time. Later, Fr. André was elected on the first ballot. A member of the District of Ivory Coast, Fr. André was born on April 16, 1961 in Périgueux, France, the same city where our Founder, Blessed William Joseph Chaminade was born 200 years before! Fr. André made his novitiate at Art-sur-Meurthe, France. On August 31, 1985 he professed his final vows in the Society of Mary at Bordeaux. Later, he studied theology at the Gregorianum in Rome. Fr. André was ordained on June 25, 1996 at Antony. 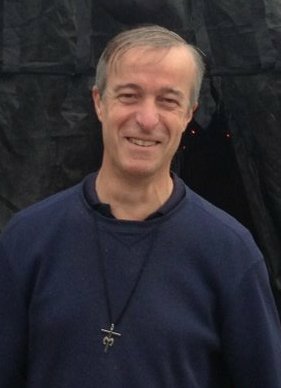 Prior to his election in 2006 as the Assistant General for Religious Life, he served as rector of the Marian Shrine in Abidjan. Before going to Abidjan, Fr. André majored in music, studying both in Paris and Bordeaux. He was also the master of novices. He has the ability to communicate in several languages, including English, Spanish, French, German and Italian. Fr. André shared that, after 12 years as Assistant General for Religious Life, he thought his time in Rome was coming to a conclusion. Yet, the Holy Spirit had other plans for him and, through the fraternal voice of his Brothers, the Spirit has called Fr. André to additional service of leadership in the SM and the Church. As always, Fr. André has responded with humble generosity. The General Chapter continues, with the election of the General Assistants. The Chapter is expected to continue until July 29th. During this time, directions and priorities for both the new General Council, as well as the Society as a whole, will be discussed and determined.